Abdul Muqeet remembers the date: February 2, 2010. He was eight and in grade three at St Joseph's School, Abu Dhabi, when his teacher told him and his classmates that they were introducing a ‘No plastic day'. She gave the pupils a short talk on the importance of preserving the planet for the future and how plastic, one of the biggest threats to the environment, was polluting the earth and causing untold damage. Back home he asked his mother, Andaleeb Mannan, more about plastic. She reiterated that it was a major pollutant that apart from taking hundreds of years to degrade, could also end up in the waterways and pose a threat to marine life. Plastic is also a major threat to animals such as camels, which have died after ingesting it. So we should reduce or discontinue our usage of plastic bags, she told him. "But,'' Abdul asked, confused, "how will the grocery deliver my chocolates if they can't use plastic bags?" His mother laughed and replied that maybe they could use bags made of some other material. That set him thinking. Abdul began looking around for substitutes and the first thing that caught his eye was a pile of newspapers lying on the table. "I thought, ‘Why can't paper be used to pack stuff?''' he says. "I wondered why I didn't think about it before.'' Getting down to work, he grabbed a few sheets of paper, some glue and began making paper bags. "Initially, I could make bags which could hold a reasonable amount of stuff or weight,'' he recalls. 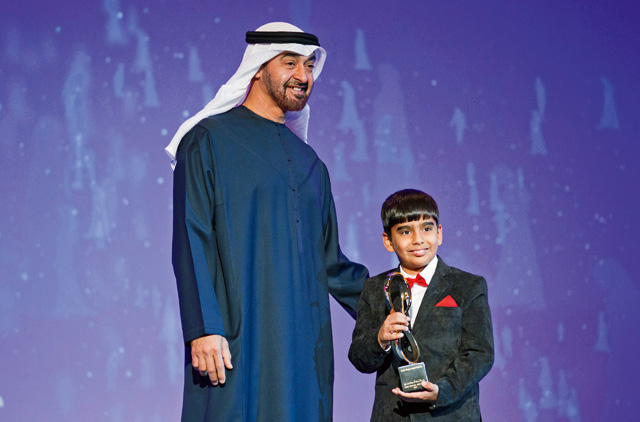 But the little boy, who beat 22,000 people from 62 countries to be one of the ten winners of the Abu Dhabi Awards, persevered until he mastered the art. "I went on the internet and looked for sites which would tell me how to make them,'' he says. "I made about 20 bags and the next day after school went to the grocery store near my house and asked the man at the counter if he would consider using my bags to pack stuff,'' he says. What they weren't prepared for was his persistence. The next day Abdul was back with more bags. "I'll get you more as soon as you are through with these,'' he told the owner. Spurred on, Abdul started delivering around 20 bags a day to the shops in the neighbourhood - and soon customers started to prefer them to the plastic ones. The packets were made of newspaper, roomy, sturdier and in less than a week, they became hugely popular with people beginning to ask for them at the stores. 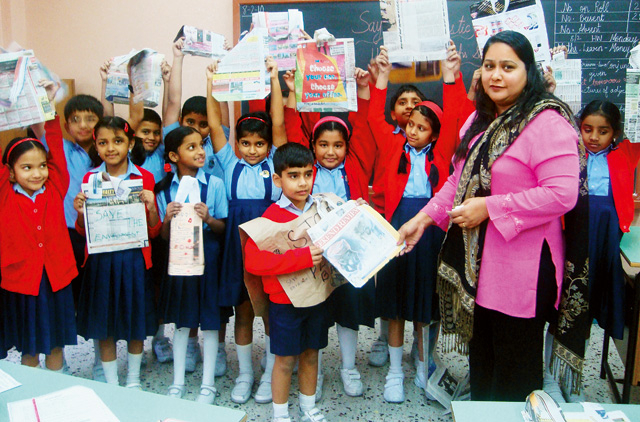 In fact, so popular did the paper bags become that when St Joseph's School launched an anti-plastic campaign, students were asked to make paper bags that could replace plastic bags, which were then distributed to stores in the locality. The bags were called ‘Mukku bags' (Mukku being Abdul's pet name) and Abdul came to be known as the Paper Bag Boy. In less than a month after he first started making paper bags and distributing them in his neighbourhood stores, the paper bag mission began to take on a life of its own. "We started getting many calls from schools, universities, different agencies and companies to promote his campaign," says Abdul Mannan, Abdul's father. "But one thing our family decided at the very onset was that we would not push his campaign for any material benefits. It is our service to this beautiful country and our mother earth." Pleased that more people were using what he was making, Abdul, who has a sister, Mehak and a brother Mahir, who are older than him, began to spend more time in the evenings making the bags and distributing them to different stores in his locality. His parents and his siblings too began to help him and soon they were making close to 50 to 60 bags every day, which they distributed to shops in the neighbourhood. It didn't take long for the authorities to start noticing the green initiative. Abdul also participated in a number of campaigns, including the ‘Reduce, Reuse, Recycle' campaign organised by the Center for Waste Management - Abu Dhabi across Abu Dhabi and the Western Region. Soon, he started receiving accolades and awards from overseas as well. He has visited schools, universities, malls and government departments to speak up against plastic and to teach students how to recycle paper. While on vacation to his home town in Jaipur, India, last year he met Rajasthan Chief Minister who lauded his efforts. 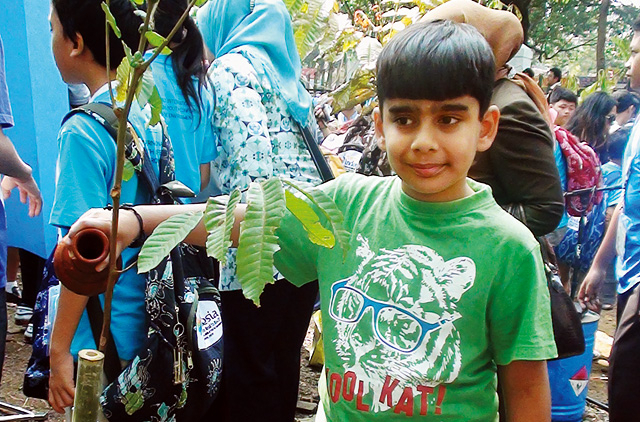 In 2011, Abdul was selected to attend the United Nations Tunza conference in Indonesia where he was able to demonstrate his commitment to a cleaner environment through his paper bag initiative. He was one of the key speakers at the conference where he represented the UAE. The conference was organised by the Government of Indonesia and the United Nations Environmental Program (UNEP). The aim of the conference is to discuss the role of young people in sustainable development and to provide youth input to the upcoming United Nations Conference on Sustainable Development, also known as "Rio+20" to be held in June this year. However, it is the Abu Dhabi Award that is highly cherished. These awards honour and recognize individuals who have contributed to building a greater sense of community and social welfare within Abu Dhabi. "We are honoured that the Abu Dhabi Awards Committee felt Abdul Muqeet was worthy of this recognition. We are very proud and happy to be part of this country," his father says. Abdul's family has played a vital role in paving the way for his noble aspirations. His maternal grandmother Nishat Hussain has been an active crusader for environmental and social issues back in Jaipur. She has received many awards including the Indian National Award for Harmony and Peace in 1992 for her services in helping people during the 1991 riots in India. Abdul's mother too does her bit for social causes. A former teacher at St Joseph's School, she is the Social Welfare Secretary of the Indian Ladies Association and has organised several green earth campaigns in Abu Dhabi. An avid nature lover and humanitarian, she abides by the words of the late President Shaikh Zayed Bin Sultan Al Nahyan, "Man has to be kind not only to humans but also to animals and plants as God bestows kindness on those who show kindness to others." The Abu Dhabi Indian School, where Abdul is in grade five, marked his achievements celebrating the 63rd Republic Day of India. "Even though he is only ten years old, Abdul has a resolve of steel" says N.C. Vijaya Chandra, Principal of the school. "He is an inspiring example for all those around him who have joined hands to help make UAE free of plastic bags." His class teacher Rose Vigila Joseph is happy that Abdul is as passionate about his school work as he is about the environment. "He does his best to help others as well. He brings paper bags to class and teaches other children how to make them," she says. Twins Mohammad Shuaib and Mohammad Saud have been best friends with Abdul since kindergarten. "His idea is very simple. He has taught all of us how to do it," says Shuaib. "I was very happy when he won the award. I hope to assist him in his campaign," adds Saud. Christopher Mathew, Abdul's neighbour and schoolmate, was also a participant in a skit they performed together for the environment. He says: "I am really glad that he got this award because it shows that good deeds will be rewarded eventually and that anyone can make a difference irrespective of age." Recently, a US-based organisation Action for Nature highlighted the Paper Bag Boy's Campaign on its website (www.actionfornature.org/ past-ecoheroes/2012/01/24/introducing-abdul-muqeet-the-paper-bag-boy). The fame and awards sit well on Abdul's young shouders. Pretty mature for his age, he says, "The paper bags are my way of saving the environment and our planet in a small way.